We say boo! 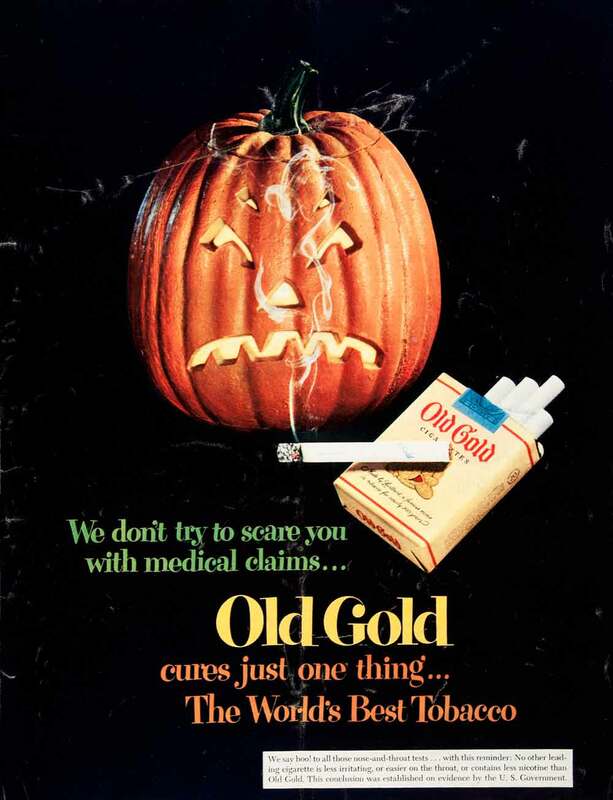 to all those nose-and-throat tests… with this reminder: no other leading cigarette is less irritating, or easier on the throat, or contains less nicotine than Old Gold. This conclusion was established on evidence by the U. S. Government. So much for the scientific evidence: smoke ’em if you’ve got ’em!